This is way overdue! 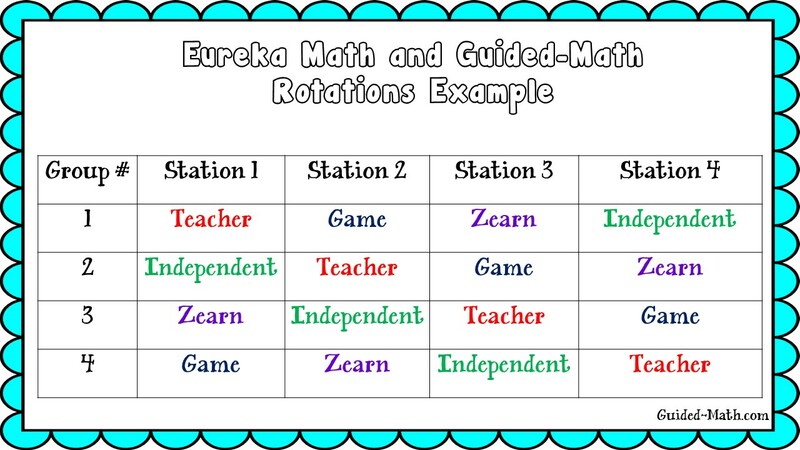 Hopefully this post and future posts will answer any questions you have about merging Eureka / Engage NY math with Guided-Math. My plan is to do a series of posts, each focusing on a certain aspect of merging the two programs successfully. So here we go! This first post is just an overview of where I was starting and where I ended up. As a newbie to Eureka Math, I think just getting used to the format and what is expected of you to teach is huge enough. Anyone who teaches fourth grade and Eureka math will tell you that the first unit, which is lengthy to begin with, is the hardest . You get so lost in the technicality of what you need to teach that you get lost as a teacher. So here I was, a new program, over 30 students, teaching only whole group math. I was LOST! 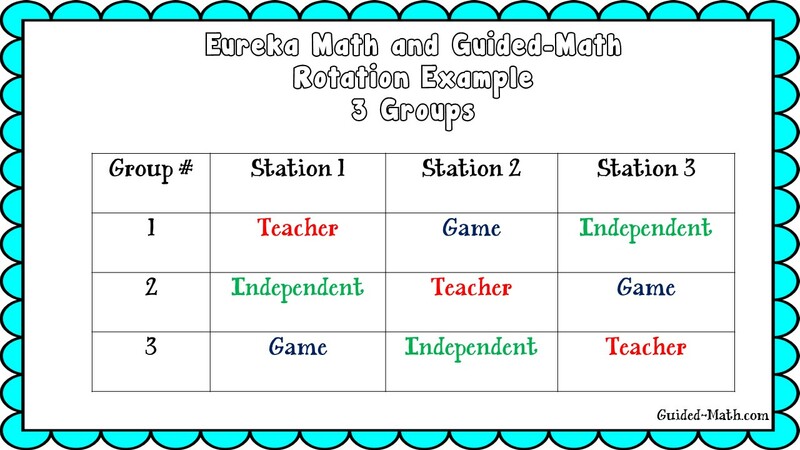 I had to figure out how to make it work for both my students and I.
I decided to first try out three groups and do three rotations. I did this for a couple months. It was my baby way of getting my feet wet in both the curriculum and small groups. Here is an example of my rotations... Each rotation was about 25 minutes each. Now... small groups was my hold back. At this point of time I had 33 students! My small groups were 11 kids each. That is not a small group. That's like half a class for some teachers. I was not accomplishing what I wanted to. The benefit of small group is to have them at the group table, to see them write down their thought process and to guided them! I couldn't do that, at all! I did four groups. 20 minutes each. It was beautiful. I was back. The kids loved it! And that is how I managed my groups for the rest of the school year. Four group, about three days a week. Two days a week I did whole group. In my next post I'll talk more about how I managed to teach a small group the concept of the lesson in 20 minutes. I'll also share some same schedules of how to incorporate the fluency, application, concept, etc. So stay tuned! Layout ©Design by Christi. Images by Just So Scrappy.